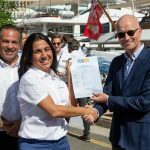 A Clearwater Rating Gold standard award to the new Vita electric luxury tender marks global launch of new environmental rating system at Monaco Yacht Show. Please join Clearwater Rating on British Marine’s stand QS28, located in the Darse Sud area, on Wednesday 26 September at 1500 hours for the award presentation. Plus, learn more about this important environmental initiative from its founding team, Alasdair Reay, Marcia Garcia-Donaire and Craig Morris. Boatyards and owners now have a completely unbiased rating system against which to assess the environmental impact of superyachts and leisure vessels. The launch of Clearwater Rating at the Monaco Yacht Show marks the first time that such an objective standard will be available globally, free of commercial bias. 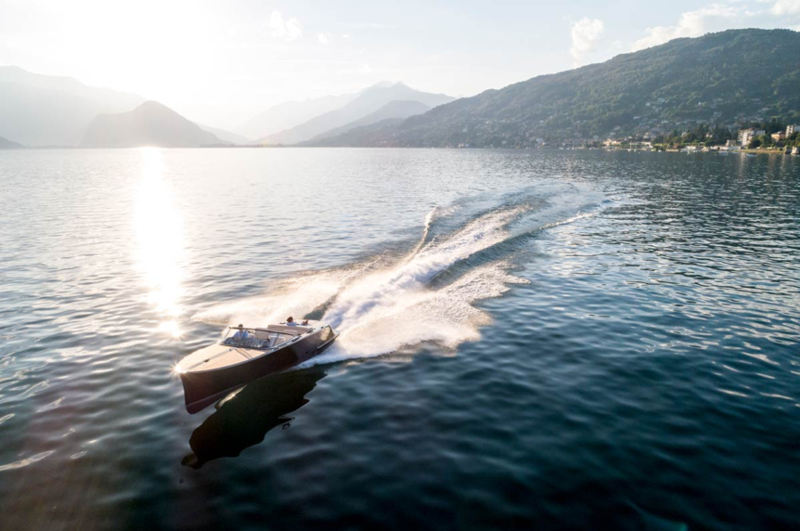 To celebrate this milestone, Clearwater Rating will be awarding the new Vita electric-powered classic tender with its Gold Standard at the Monaco Yacht Show. Gold is the pinnacle of seven rating bands which will provide a clearly understood measure of the environmental footprint for vessels, from traditionally constructed and conventionally fuelled yachts, through to hybrids and zero emission vessels. Speaking prior to the launch, and just before he embarked on a London to Monaco cycle ride in aid of the Blue Marine Foundation, Alasdair Reay stated: “For some years, Maria, Craig and I have shared a frustration that no objective benchmarks existed for evaluating and grading the environmental footprint of superyachts and leisure vessels. We’ve now consulted, researched and invested in the Clearwater Rating system and I’ll be carrying our first certificate with me, by bicycle, for its zero-carbon footprint presentation to the Vita.